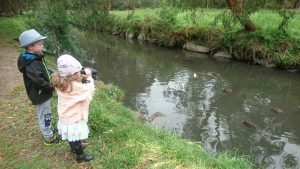 The Backyard Bird Discovery Walks are happening again in 2018. Bring the whole family along to enjoy a free guided bird walk these school holidays! All ages are welcome but please note that children under 18 must be accompanied by a responsible adult at all times. A light snack will be provided, but please bring your own water bottle to minimise plastic waste. We recommend wearing sensible enclosed footwear and outdoor clothing. If you have binoculars, please bring them. These events are being funded through the Living Links program with support from the Victorian Government’s ‘Our Catchments, Our Communities’ initiative.